Toyota Motor Corp has cut its revenue forecast for the full year on Thursday as the company based in Japan expects weaker sales of vehicles in emerging countries in Asia, where the demand for their cars has been rocked by a slowdown in growth. The slowing sales could knock Toyota from the No. 1 spot as the biggest selling automaker in the world, a title it held for the past couple of weeks after it unseated Volkswagen AG in a close, ongoing race. 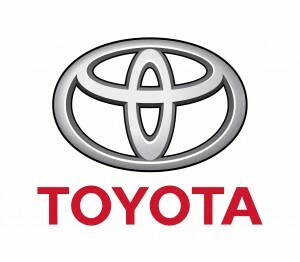 Hit by a sales slump in Thailand and Indonesia during the quarter from July through September, Toyota reduced its forecast for revenue by 1% to just over 27.5 trillion yen equal to $225.8 billion, citing uncertainty in the economic outlook in the emerging markets across Asia. Like a number of automakers in Japan, Toyota has enjoyed strong growth in the U.S., which is on track to set a record year for annual sales due to the improved economy and lower prices of gasoline. However, in places liked the Middle East, Southeast Asia and other emerging areas things are different, where Toyota has a larger presence than other automakers, said analysts. The automaker said that while it is expecting to hit its yearly target in China of 1.1 million vehicles sold, profitability in the largest auto market in the world would likely worsen because of an economy that is slowing down. Toyota is expecting revenue, included its sales and other income sources to be higher by 1% than in 2014, and it kept its forecast changed for operating profit of 2.8 trillion as the weaker yen affects and the efforts of cost reduction would offset the easing of volumes and the rising expense related to marketing. Toyota topped all worldwide automakers for global sales the past couple of months selling 7.49 million vehicles around the globe in the year through the end of September, which was slightly more than the 7.43 million that Volkswagen the No. 2 maker sold at the same time.